Help increase appetite, activity, breeding, and color of your reptile UV Heat Bulbs provide crucial UVA and UVB for your reptile Use lightbulb with ceramic fixture to provide a thermal gradient within your reptile's environment We apologize for the inconvenience; these bulbs are currently unavailable until January 2009.-->These solar glow bulbs make life-changing differences in captive reptiles. They increase appetite, activity, breeding, and color. UV lighting is necessary to maintain Vitamin D3 in a reptile's blood, which is essential for metabolizing calcium in their diet.The Active UV Heat Bulbs project beneficial UVA and UVB one to six feet, not mere inches like other bulbs. They are also cost effective; they combine fluorescent and heat lamps in one bulb. Easy-to-use: simply screw into a standard socket. Floodlight bulbs, self-ballasted.Please click on "More Information" for instructions for use. 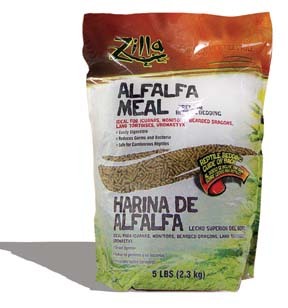 Adult Bearded Dragon Food - 6 oz. 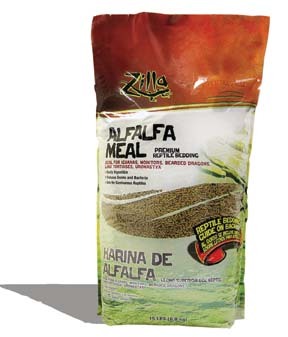 Food for finicky bearded dragons. Great for ensuring a rounded diet when fresh produce is in limited supply - 6oz. Multipurpose, 3-in-1 tool simplifies aquarium maintenanceReversible scraper tool is safe for glass or acrylic aquariumsDetachable heads include scraper, shovel, and aquarium polisherMake the most of these handy tools to simplify aquarium maintenance Magical Cleaning Rod, is three of the most important aquarium cleaning tools in one convenient wand. Choose from 14", 22", or 34" handle lengths to clean even the deepest aquariums without getting your hands wet. Interchangeable heads include a planting shovel, curved polisher for bowfront tanks, and a two-sided scraper tool safe for either glass or acrylic. Cushioned grip and sturdy plastic rod make this a tool you can use for years. Replacement Scraper and Glass Polisher also sold separately.Note: To clean acrylic, be sure to use the acrylic end of the scraper, not the metal end.Maneuverable 8" Hand-held scraper includes detachable metal blade (glass only) and acrylic-safe polisher. Finger-held scraper offers precision, fingertip control to remove algae bigger scrapers can miss.-->Short: 14" long Medium: 22" long Long: 34" long? ?Replacement Parts: Scraper: 3" x 1/2" Glass Polisher: 3" x 2-1/4"